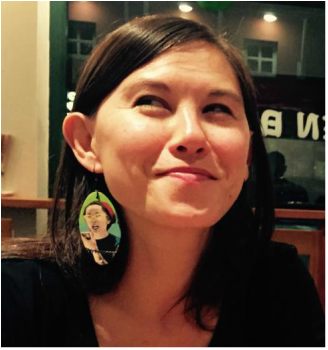 Jasmin Hoo is an educator, artist, and activist with over ten years experience teaching theater, art, and social justice to youth and adults. She grew up outside Boston, MA and moved to San Francisco, CA in 2005 to pursue her lifelong passion of creating educational and artistic opportunities for both individual and community transformation. Jasmin is currently working as the Curriculum and Programs Manager at the American Conservatory Theater in San Francisco developing theater education programs that democratize theater and give space for youth to tell their stories and speak their truth. Alongside her paid work, she stays connected with the community, working with various organizations including Kearny Street Workshop, the oldest Asian and Pacific Islander arts organization in the U.S. Jasmin’s previous work experience includes serving as the Diversity Coordinator and Extended Program Coordinator for the Children’s Day School. She also served on the board of directors for POCIS (People of Color in Independent Schools) and has presented at the Empowering Women of Color Conference at UC Berkeley. Jasmin holds an M.A. in Equity and Social Justice in Education from San Francisco State University where she researched the experiences of multiracial youth in order to challenge the binary and monoracial ways race and racism are taught in schools. Her research and life’s work are dedicated to promoting critical consciousness, social justice, healing and empowerment through education and the arts.